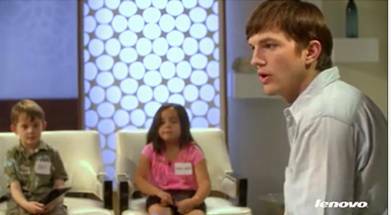 Watch Lenovo Product Engineer Ashton Kutcher Hilariously Handle a Room Full of Kids! Ashton Kutcher announced today that he is debuting a series of original product content videos over the course of the next two weeks to better understand user feedback regarding Lenovo’s popular Yoga Tablet. As Product Engineer for Lenovo, Kutcher believes in moving beyond his role of tech-investor, in order to lead the way in technological advances with the development of the Yoga Tablet. Each of the four video concepts capture Kutcher as a focus group mediator who is dedicated to listening to consumer feedback on unique tablet elements for three different generations of Yoga Tablet users: Kids, Elders and Entrepreneurs. Each video highlights key tablet features custom to that generation’s lifestyle, while also receiving consumer feedback on the existing product and how it can be improved and more user friendly. “One of things that we’re doing with Lenovo is realizing how important it is for us as a company to listen to our consumers and listen to our users and we’re going to do our best to uphold our side of the agreement” says Kutcher in the third video installment targeted at the tech-advanced generation. The Kids video, which launches today, shows Kutcher entering a room of elementary school-aged children only to find that one kid in particular is trying to steal the show. 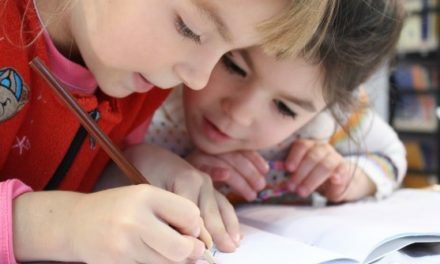 Through Kutcher’s playful battle with attempting to get the children’s attention, his focus group narrows down the kids interests to one vital thing: games. The other two videos aimed at Elders and Entrepreneurs will be rolling out within the next two weeks on the company’s official YouTube page. Recognizing that one size doesn’t fit all, Lenovo’s Yoga Tablet’s pioneering design incorporates a kickstand on the side of the tablet offering three unique usage modes as the device allows the user to hold, stand or tilt the tablet, helping solve common challenges that tablet user’s face. The Yoga Tablet’s cylindrical handle allows users to easily holdthe tablet to read and browse the Internet. Users can also deploy the stand to sit it upright on a surface for movie watching or tilt the tablet down on a surface for a better viewing angle for touch screen typing and reading. The Yoga Tablet also has unparalleled battery life lasting up to 18 hours and unlike most tablets, the speakers face towards you rather than to the side for an immersive sound experience.